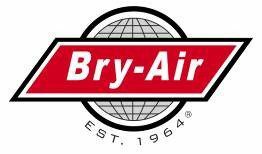 On December 23, Bry-Air held its Year-End Communications Meeting with all employees at the site and in the field. President & CEO, Mel Meyers reviewed the results and highlights for the year. In 2015, the Company set a record for sales beating the previous record set last year. Fourteen people were added to the team in positions throughout the Company. And, the Company began matching the 401K contributions. 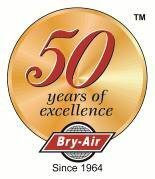 Meyers told the gathering that, in spite of the progress made, much work remained to be done to increase customer satisfaction by improving the quality of our products and services. In addition, the Employee of the Year Award was announced. This award is voted on by all employees. There were two winners this year; Abe “Butch” Adams of the Welding Department and Kathy Hutchinson, Accounting Manager.